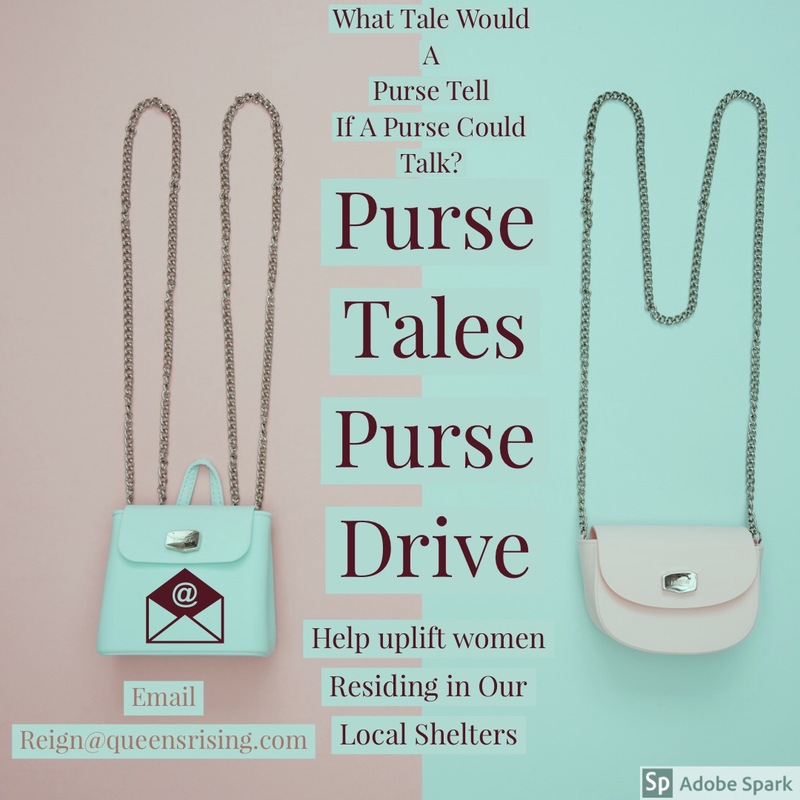 Since 2016, QRTM has been hosting the “Purse Tales Purse Drive” where we collect new and gently used purses, feminine hygiene supplies, and beauty products. And we take these products and supplies and fill up all the purses donated and we deliver them to underserved women currently residing in shelters. Since 2016, QRTM has been hosting the “Purse Tales Purse Drive” where we collect new and gently used purses, feminine hygiene supplies, and beauty products. And we take these products and supplies and fill up all the purses donated and we deliver them to underserved women currently residing in shelters. In the past, we have partnered with Sports Diva Inc to supply purses to Eden House Nola. And we have successfully been able to supply purses to the New Orleans Women and Children’s Shelter up to two times per year. We hope you would consider donating or volunteering so that we can uplift and empower more and more women ! Please send your donated new or gently used purses to 2100 Woodmere Blvd Suite 130 Harvey,LA 70058 , For inquiries about volunteering to fill and/or deliver purses please contact us at 504-638-0130 . Which type of donation do you have? What Date Can we Pick up your donation? (Only applies es to residences or commercial businesses that are located within 25 miles of Harvey, Louisiana. What is your company or organization name?